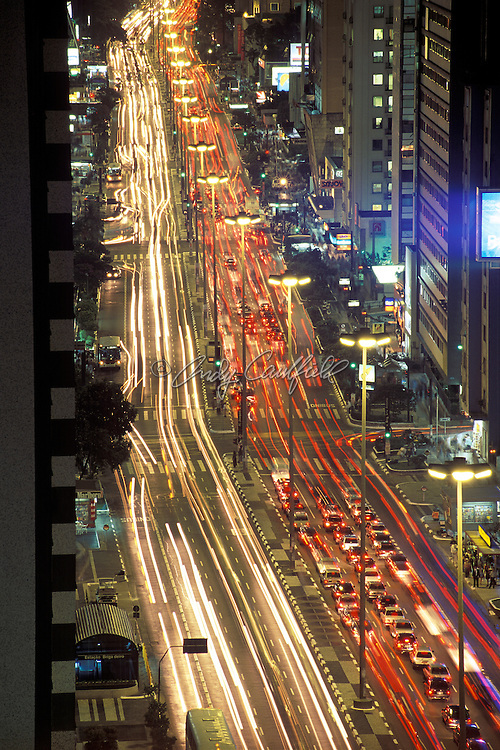 Paulista avenue at night, the most famous business address in this mega-city. Streaking lights of cars and buses for as far as the eye can see. Sao Paulo, BRAZIL ..